Combine the oats, grated carrot, salt, cinnamon, maple syrup and water in a bowl. Put on a top and microwave it all up for 2 1/2 to 3 minutes (or simmer it on the stove top for about 5). Then drop on the currants, pecans and a splash of yogurt. Breakfast! 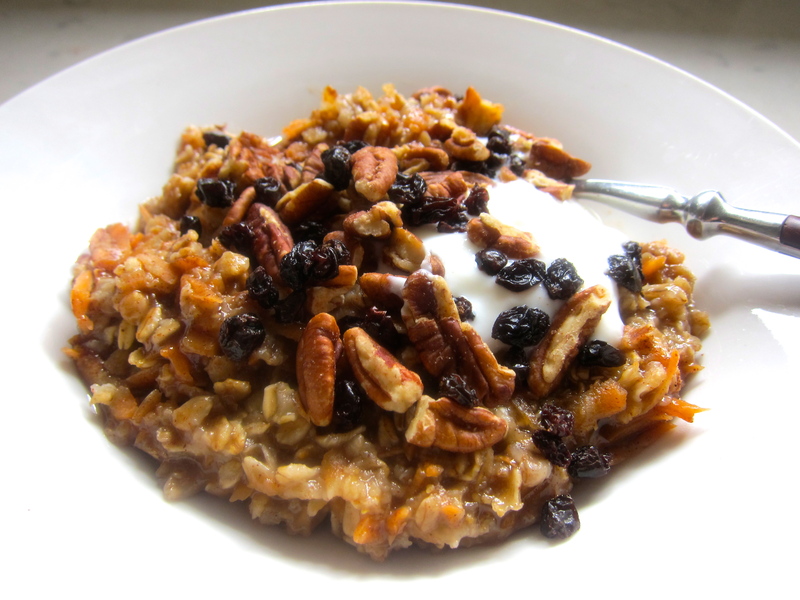 This entry was posted in Food and tagged breakfast, carrots, oatmeal, pecans. currants. Bookmark the permalink. I had a similar breakfast this morning ! I love your version a lot! Yummmm!